No other Indian percussion instrument has gained the worldwide high profile status of North India’s tabla. 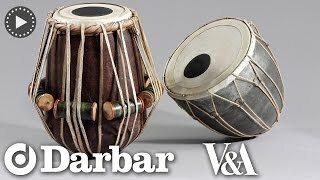 The word is thought to have its origins in the Arabic tabl (which means any kind of drum) but it was, undoubtedly, invented in India although its origins and exact role in the classical music of early years are shrouded in mystery and controversy. North India’s most popular percussion instrument for devotional as well as classical music, the tabla consists of two drums, the smaller one of which is actually called “tabla” but it is more often referred to as dayan (literally “right”) usually played by the right, or dominant hand and a larger one played with the left hand and called bayan (literally “left”) but it is also sometimes called a duggi. The shells of both drums are covered in two layers goat or cow hide, the top layer helping to suppress some of the unwanted overtones. Both drum heads have a central area constructed out of several thin layers of a paste made out of either wheat or rice-starch to which blackening is added. It is the precise construction and shaping of this area which determines the instrument’s final tonal quality. Both drums are steadied for playing by being placed on ring-shaped holders made of natural fibre and wrapped in cloth. The playing technique involves extensive use of fingers as well as the palm to create different syllables known as bol[s] as well as using the heel of the hand to apply pressure in a slide-like motion to change the pitch. The dayan, (or right-hand side treble drum) is always tuned to the tonic in which the instrumentalist or vocalist is going to perform. Because it is an instrument that consists of two drums, one popular theory is that it was invented by the 13th century Sufi poet-musician Amir Khusrau, by cutting up either the pakhavaj or the South Indian mridangam – both ancient barrel-shaped drums – into two parts. It is thought that Khusrau did this specifically for the purpose of facilitating percussion techniques that were vital to his other musical inventions, namely the vocal genres known as qawwali, (South Asian Sufi music) and tarana (a song composed of sounds and syllables rather than words) and both requiring the chutki ( individually fingered drum-strokes) which are easier to play on tabla with the player directly above the drums and the drum-heads in front, rather than facing sideways. But, although Khusrau has left behind a vast volume of writings, none of these specifically mention tabla. Even so, it is still generally assumed that the drum is North Indian in origin – and quite possibly relating to the period of Muslim influence in Indian music – because of its complete absence in the South Indian (Karnatik) tradition of classical music. Another factor pointing to its North Indian pedigree is that its development as a percussion instrument is closely related to the classical vocal genre khayal (a relatively modern style of classical song dating from around the 18th century and which came after the older dhrupad style and, by the early 20th century had almost eclipsed its predecessor) and it would appear that both khayal and tabla began to emerge at around the same time and followed a similar trajectory. Also, the tabla became associated with kathak (a North Indian classical dance style with important centres in Lucknow and Benares). A tabla-player’s main classification was determined by being attached to a specific style linked to a particular gharana (or family lineage not necessarily determined by blood-ties but often transmitted through the Guru-Pupil chain of succession). With very few exceptions, gharanas were usually named after the area or city in which they developed, rather than the name of a leading maestro/teacher. In time, as many as six main gharanas of tabla co-existed with many subtle differences in style and repertoire. Overall, there are two main ways of playing tabla: khula baaj (open-style) is similar to the technique of the pakhavaj where the full palm and fingers are used. Speed is not of the essence and a deep, resonant tone is paramount. In the other, band baaj (closed style) the right, (or treble drum) is controlled and subdued so that sounds from the strokes seem to finish quicker, making this a suitable technique for a speedier effect. 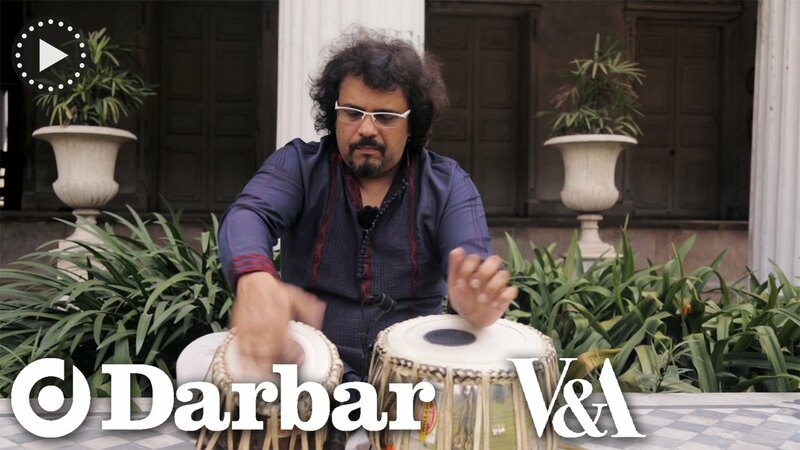 Each tabla gharana has many additional distinguishing features of its own but in the present age, many of these differences have become blurred with many world-class tabla players admitting to being influenced by a variety of styles. The tabla has become the single most indispensable feature of a North Indian classical recital, whether vocal or instrumental. Of its many gharanas (styles), each has produced legendary maestros of tremendous ability as well as charisma so no one single style or gharana can claim to have contributed to the success and widespread popularity of this drum. 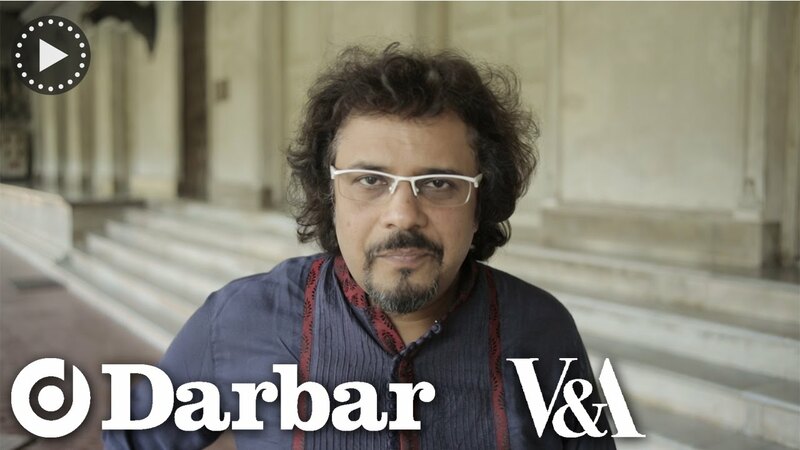 Also, by about the middle of the 20th century, when stylistic differences were beginning to blur and the rigidity of adherence to a particular style was no longer paramount, more and more students – including those who did not wish to pursue music as a career – were choosing to study tabla. While the tabla’s immense popularity and widespread appeal cannot be attributed to any single maestro, there were a number of very high profile exponents playing in styles evolved within their gharanas, the most important centres being Delhi, Farrukhabad, Punjab, Lucknow and Benares – the last two also being important centres of development for kathak, a North Indian classical dance style as well as thumri, (a light-classical song form, much favoured by the courtesans of that time). Both these genres had their own requirements for percussion and a great deal of the tabla repertoire that developed in these centres was led by these forms. Despite many outstanding tabla players representing a number of important gharanas of tabla, by and large, given the hierarchy of Indian classical music instruments and genres, percussion on the whole ranked well below vocal and melodic string instruments mainly because it is primarily played as an accompaniment – so much so that in earlier recordings of Indian classical music, the tabla player is not even named. Although there had been a number of outstanding performers before him, the very first classical tabla maestro to gain a place in the popular psyche was Ahmedjan “Thirakwa” Khan (1890 – 1976) of the Farrukhabad gharana. (“Thirakwa”, which means “shimmering like lightning” was added as an epithet after a senior musician remarked that his fingers appeared to move like lightning on the tabla and some of the tones he created were reminiscent of the rumble of thunder.) He was the first tabla player to be filmed (during the 1930’s) with the film being shown in cinemas and hence exposing him to an audience much larger than the one that attended classical concerts. It is possible that Thirakwa Khan changed the public’s view on what it was to be a tabla artiste, not only highlighting the artistry of the instrument but also by adding a certain panache and charisma to what had been the “humble” role of tabla-player. A path-breaker and trendsetter, Thirakwa was equally well-known for his solo recitals as he was for accompanying four generations of vocalists, instrumentalists, and dancers. Among present day maestros of the same gharana (or style), Anindo Chatterjee (born 1953) emerges as a particularly outstanding and dynamic exponent with a vast following around the world. 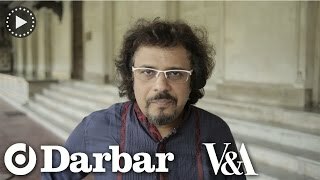 Although a great number of talented tabla players had enjoyed a high-profile status in India, they were really only known within classical music circles. The age of international stardom and fame only came when Ravi Shankar brought sitar music to the West, accompanied by tabla legend Allarakha (1919 – 2000), who at that time was one of only two high-profile representatives of the Punjab gharana style (based on the “open” way, using all four fingers and the full palm of the hand.) It was also during this time that soloists gradually began to “give the floor” to their tabla accompanists for brief periods within a performance so that the percussionist could demonstrate his own virtuosity, albeit very briefly, whereas in the past, however gifted or talented, a percussionist was judged on his ability to provide brilliantly understated accompaniment, without seeming to intrude or draw attention to himself. Without a doubt, Allarakha raised the status of tabla from an accompanying instrument to one that could sustain a solo recital. Allarakha’s tabla appealed to audiences around the world and his son, Zakir Hussain, a renowned maestro of this instrument and an international celebrity who plays in a mixture of styles, has proceeded to take the instrument even further to the extent that tabla-solos are now considered quite a normal part of any classical recital with the result that numerous contemporary maestros including Swapan Chaudhri, Kumar Bose, Akram Khan, Nayan Ghosh and Sanju Sahai -- to name just a very few – are as popular and as much in demand as any of the instrumentalists or vocalists for whom they provide accompaniment. Women tabla-players are extremely rare but from about the late 20th Century, a few have ventured into this all-male domain with some success, most notably, Anuradha Pal.